CES 2015: Best new headphones – in-ear, over-ear, wireless, noise-cancelling | What Hi-Fi? WIth many new headphones being unveiled at CES 2015, you might well be planning your next purchase. But which pair caught your eye? Here's all of the headphones highlights from Las Vegas. Manufacturers constantly vie to produce the best sounding, or the most intuitive headphones; at this year's CES in Las Vegas it's been no different. We've seen wireless headphones, noise-cancelling headphones, sports headphones and even headphones that claim to charge your mobile device while you use them. Known for portability, comfort and noise-isolating characteristics, over- and on-ear headphones are always a popular category. This year saw several new pairs introduced, with the Marshall Major II (above) - announced at CES Unveiled - among the first. Taking design cues from Marshall's amplifier range, these new cans feature customised drivers that deliver "deeper bass and a more refined midrange". AKG was out in full force to unveil a new pair of over-ear headphones, designed in collaboration with music producing legend Quincy Jones. Its N90Qs come with proprietary TruNote technology on board, auto-calibrating sounds within the ear piece. The cans also benefit from noise-cancellation and sound customisation technology, which promises to continually adjust bass and treble to prevent distortion. Phaz Music introduced a pair of over-ear headphones that feature patented power-transfer technology to transfer energy from the rechargeable Li-Ion battery, directly to your mobile device and recharge it as you go. An "audiophile-grade" amplifier powers the 40mm drivers and a 15dB bass-boost button improves low frequencies. High-end manufacturer Audeze unveiled an entry-level pair of over-ear headphones... for £600. The EL-8s (above) are available in open- or closed-back designs and use planar magnetic technology. They use materials developed by NASA and feature contoured ear-cups for more comfortable listening sessions. Elsewhere, House of Marley unveiled the US$250 Tribute over-ears, which feature 50mm drivers; the Legend Active Noise Cancelling over-ears, meanwhile, are due out this Autumn for US$280. Last but not least was the Philips NC1L noise-cancelling headphones. The NC1Ls are among the first battery-free noise-cancelling headphones to hit the market. 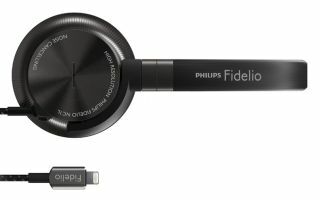 They draw power from the lightning port on iOS devices, while also featuring a built-in 24-bit DAC; one of a number of their "audiophile-grade" components. In-ear headphones have a range of uses: the morning commute, home-listening and out for that weekend jog. CES 2015 saw a good few new pairs announced, all with these uses in mind and with new, intuitive technologies very much on the agenda. Parrot is one such manufacturer to introduce a pair of in-ears loaded with new technology. The Zik Sport in-ears (above) use sensors to analyse and optimise your workout; measuring heart rate and running patterns, with all data captured able to be synced with smartphones and tablets. The Zik Sports also feature noise-cancellation tech, but also offer a "street-mode" that allows you to hear your surroundings as well as your music - meaning you can stay you aware of everything around you. AKG made additions to its Y-Series of headphones with the Y20 and Y23 models. The Y20s feature 8mm drivers, while the Y23s make do with 5.8mm drivers. Both feature a one-button remote on the cable. JBL announced some sport in-ears of its own in the form of the Reflect Response BT and Synchros S210BT. They claim to be the "world's first" gesture-controlled in-ear sports headphones, letting you change tracks and answers calls simply by waving your hand over the ear-piece. The company has also announced a pair of battery-free noise-cancelling headphones in the form of the JBL Reflect Aware. They draw their power from the lightning connector on iOS devices or the microUSB port on Android and Windows phones. Meanwhile, House of Marley unveiled some in-ear headphones next to its over- and on-ear ranges. First are the Journey BT in-ear sports headphones - wireless and aptX compatible, and having been created with "content and performance in mind". Also announced by House of Marley are the Mystic in-ears and Little Bird in-ears.